Regarding fashion, the month of January is the first appointment in which international famous brands, maisons and haute couture introduce their newest trends to shoppers, press and the general public. Men’s Fashion Week in London is the first chapter, when men’s international collections are proposed. The Haute Couture Fashion Week in Paris is considered as one of the most esteemed and highly admired fashion events of the year where the French ad worldwide fashion finest brands display their newest collections. Milano Moda Uomo is another international event with the latest menswear prèt-à-porter vogue and trends. Over the years, the collections have placed Milan at the unquestionable fist position in the worldwide platform for haute couture trademarks companies. 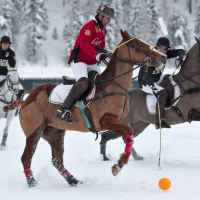 St. Moritz has been hosting the world’s prestigious snow polo tournament since 1985. Besides being the first-ever snow polo tournament, the Snow Polo World Cup St. Moritz is nurture by a gorgeous mountain panorama that contributes to create an enchanting atmosphere on and alongside the playing field. A premiere gourmet food is served in the starred restaurants, and luxury hotels look forward to host tournament visitors and VIPS guests. Allow yourself to be pampered with the most famous fashion shows and sports events and let us spoil you. 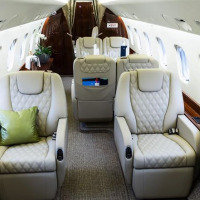 Fast private Jet can organize your private jet to London, Milan, St. Moritz or Paris, and our concierge service will recommend some extra treats, like show’s front row seats, exclusive gourmet dinners, special events and after-parties.